MARSHA (Marju) Gr.1 Prix de l’Abbaye de Longchamp, Chantilly, Gr.1 Coolmore Nunthorpe S., York, Gr.3 Longholes Palace House S., Newmarket, L. John Smith’s City Walls S., York, L. EBF Land O’Burns Fillies S., Ayr, second in Gr.1 Prix De l’Abbaye De Longchamp Longines, Chantilly, Gr.2 Friarstown Stud Sapphire S., Curragh, Gr.3 Qatar Prix Du Petit Couvert, Chantilly, third in Gr.1 King’s Stand S., Ascot. ACLAIM (Danroad) Gr.1 Qatar Prix De La Foret, Chantilly, Gr.2 Alan Wood Plumbing & Heating Park Stakes, Doncaster Gr.2 Challenge Stakes, Newmarket, L. Dubai Duty Free Cup, Newbury, second in Gr.1 Larc Prix Maurice De Gheest, Deauville third in Gr.3 Bar One Racing Stakes, Naas. Sire. EQUIANO (Ela-Mana-Mou) Gr.1 King’s Stand Stakes, Royal Ascot, (twice), Gr.3 Palace House Stakes, Newmarket, L. Abernant Stakes, Newmarket, second in Gr.1 July Cup, Newmarket, Gr.2 Temple Stakes, Haydock Park, Gr.2 Prix du Gros-Chene, Chantilly, L. Abernant Stakes, Newmarket, third in Gr.2 Criterium de Maisons-Laffitte, Maisons-Laffitte. Sire. 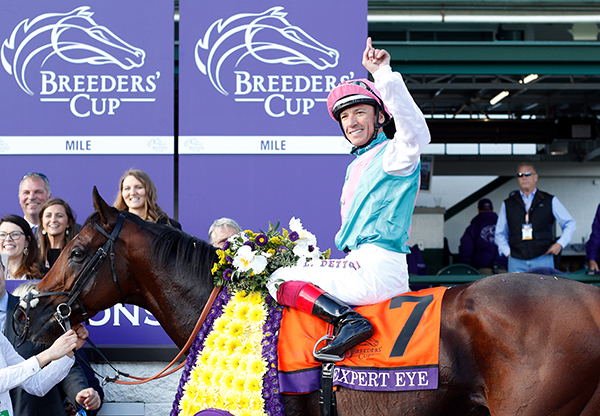 EXPERT EYE (Dansili) Gr.1 Breeders Cup Mile, Churchill Downs, Gr.2 Qatar Vintage Stakes, Goodwood, Gr.3 Jersey Stakes, Ascot, Gr.3 City of York Stakes, York also placed Gr.1 Qatar Sussex Stakes, Goodwood, Gr.1 Prix du Moulin de Longchamp, Longchamp, Gr.3 Greatwood Greenham S., Newbury. DARK ANGEL (Machiavellian) Gr.1 Shadwell Stud Middle Park Stakes, Newmarket, Gr.2 Dubai Duty Free Mill Reef Stakes, Newbury, St Leger Yearling Stakes etc. Sire. MEHMAS (Machiavellian) Gr.2 Qatar Richmond S., Goodwood, Gr.2 July Stakes, Newmarket, second in Gr.1 National S., Curragh, Gr.2 Coventry S., Ascot, third in Gr.1 Middle Park S., Newmarket. Sire. 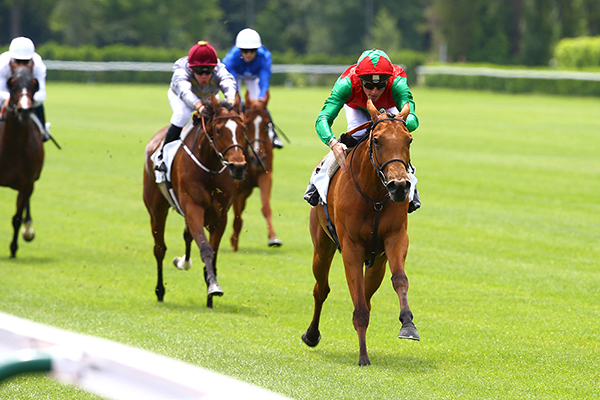 ATTENDU (Green Tune) Gr.3 Prix la Rochette, Longchamp, Gr.3 Prix du Palais-Royal, Deauville, Gr.3 Prix Quincey Barriere, Deauville, second Gr.3 Prix du Pin, Chantilly, second Gr.3 Prix Du Palais-Royal, Maisons-Laffitte, third Gr.1 Criterium International, Saint-Cloud. Sire. MY SISTER NAT (Galileo) Gr.3 Prix Bertrand de Tarragon, Longchamp, placed Gr.2 Shadwell Prix de la Nonette, Deauville, Gr.3 Prix Chloe, Chantilly, 2018. 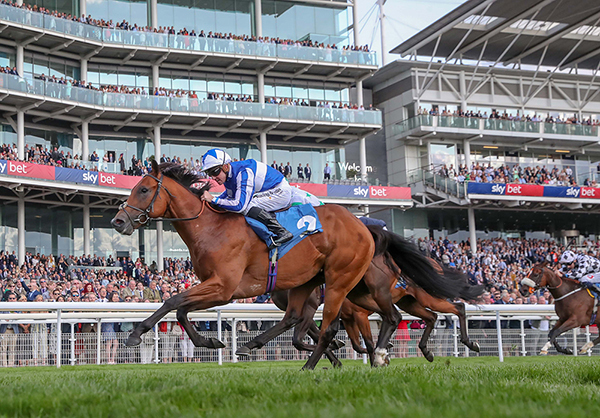 WELL DONE FOX (Exceed and Excel) L. Dragon Stakes, Sandown, L. Julia Graves Roses Stakes, York, second in Gr.2 Wainwrights Flying Childers Stakes, Doncaster, Gr.3 Newmarket Academy Godolphin Beacon Project Cornwallis Stakes, Newmarket, 2018. For more winners by Acclamation, click here.